Aung San Suu Kyi May Spend Another Night Under House Arrest, Aide Says : The Two-Way The Nobel Peace Prize winner and democracy activist is still negotiating terms of her release, an aide says. "At dusk in Rangoon (also known as Yangon), U Win Tin, the co-founder of her now-banned National League for Democracy (NLD) party, appeared at the military roadblock outside the gates of her house, where hundreds of supporters had gathered. 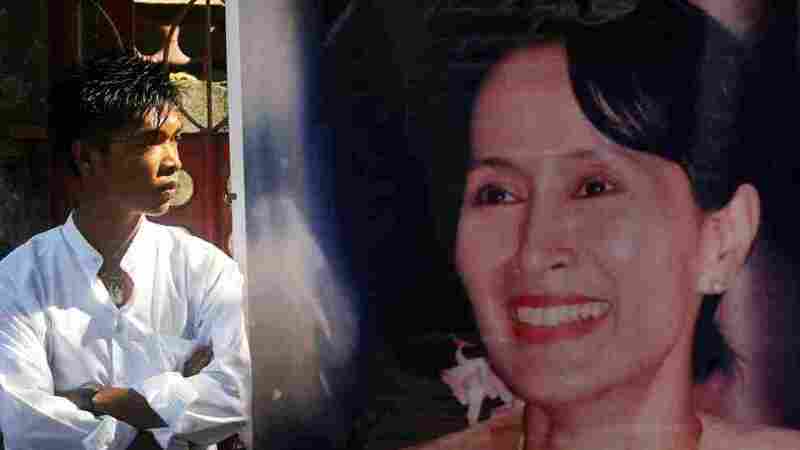 "He said Aung San Suu Kyi had been told she 'could go this day,' but that it was likely it would be one more night before she emerged in public because of an impasse in negotiations." The Associated Press writes that "Suu Kyi's house arrest officially ends Saturday, but rumors swept Yangon that she might be freed as early as Friday. Riot police with assault rifles were seen near Suu Kyi's house as about 200 supporters gathered at a nearby barbed-wire barricade." The ruling generals in Myanmar (also known as Burma) have kept Suu Kyi, 65, under arrest for 15 of the past 21 years.